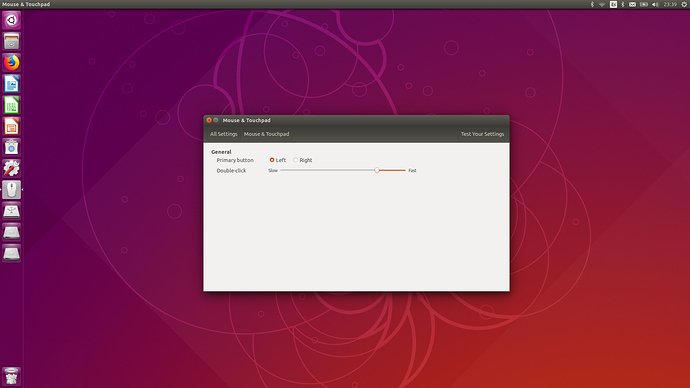 The same fixes are there in the ppa for 18.04 as well except the update of ubuntu-unity-desktop. Though unity-settings-daemon requires a rebuild as the version in the ppa is less than the version in the repo. I will update the ppa for bionic soon. I think the Unity Tweak Tool is something that should be taken care of (CCSM is nasty)… I heard it’s broken though I did not encounter any issue with it on Bionic. I mean will they land in the official repos? I duplicated the bug to an older bug with the same hardware. Try with fresh install. Or try with older kernel which was working before. It seems there is some sorrt of regression… I have xps 15 with different sound card…I can’t reproduce this. Older kernels don’t work either. Strange thing is I’m getting this with two different sound cards. “sudo alsa force-reload” recovers the sound (the card is detected by lspci, the thing is pulseadio is not detecting it). I thought it was a problem of the XPS 15 hardware, but it looks it is not. Do you think Unity could have any relation with this issue? I’m wondering why nobody is reporting anything similar in the Ubuntu Development Version forum. My sound problem does not seem Unity related, I also have it using Gnome. In the system information in ubuntu 18.10 it appears as ubuntu 18.04 and does not open the gnome-tweak-tool to change the theme and icon since the unity-tweak-tool does not open either. I opened a MR for that. Will be fixed/SRUed. And unity-tweak-tool doesn’t open? Can you try running it from terminal and post the log here ? I’m seeing a graphic freeze (no mouse or keyboard) in Ubuntu Unity 18.10 when waking up the screen from sleeping or waking up suspend. I have to go to a console and come back to the graphic session to be able to use the mouse and keyboard again. A question: Are we allowed to enter bugs in Launchpad? I feel like proscribed when still using Unity in current Ubuntu versions, and never know if that is allowed or it will marked as “won’t fix” (of course this does not apply for Unity in 16.04, but I’m mean reporting bugs using it in versions > 17.10). I don’t know if it’s related to @walter-garcia post above, but for a couple of years now I’ve had an issue in Unity whereby unlocking the desktop would result on a black screen with a working mouse cursor. Switching to a console and back to X would restore stuff as well. This tends to happen on sessions that are a day or more old and has happened regardless of the age of the OS’s install, across clean reinstalls and different computers. A lot of reports like that. I don’t think it was ever addressed. For me, it happened in the past, but in 18.04 (and before) it was working fine. It started happening with the upgrade to 18.10. The lockup when waking up has disappeared for me in 18.10, I think after some updates in xorg that I got a couple of days ago. If I install Unity over Ubuntu Mate 18.10, Is it valid for help testing it too? 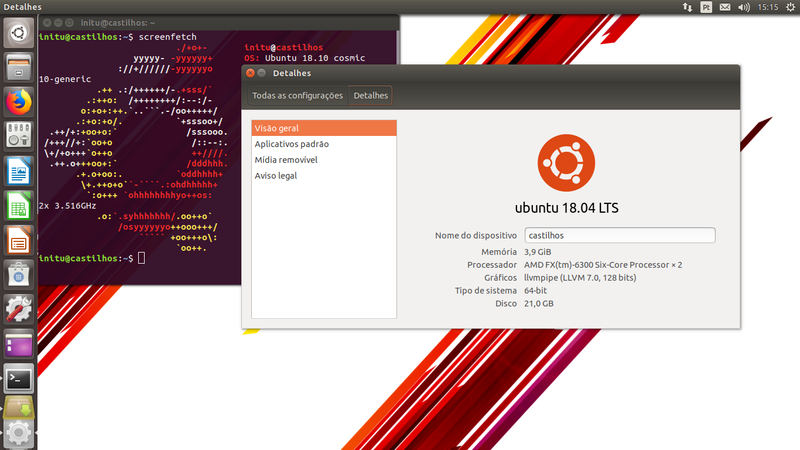 Do you recommend me install unity it over Xubuntu or Lubuntu (because of lightweight), or continue with mate it’s ok? PD: May if I keep both (unity and other DE), could it be problematic? Touchpad doesn’t work Linux in one of my laptops. Any distribution. It works only with Windows. It has a touchscreen, so not much of a problem. The maker of the laptop tried to help, but couldn’t. They make only Windows computers. About Unity on other DEs; I am experimenting with them. I stay away from the default Ubuntu distro, when installing Unity on them. Xubuntu is a very good distro, so you can keep it and change to one DE, when you want. I uninstalled xubuntu-desktop just to see how Unity works alone. @khurshid-alam, @mc3man Do you know a solution for this touchpad problem of @itzcuintliazul?